German Traces NYC is mobile, augmented reality experience designed to let learners explore German cultural heritage in New York City. The application makes use of archival documents, photographs, and multimedia narratives to bring to life to this significant thread of New York City and United States history. In 1626, Peter Minuit—a native of the German town of Wesel am Rhein—purchased Manhattan Island for 60 guilders worth of trade goods. 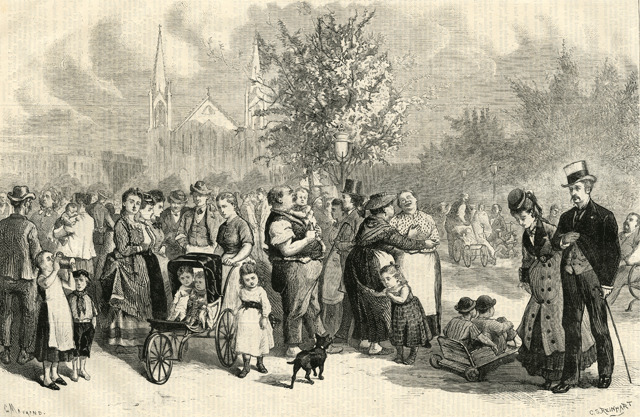 Since that purchase, German immigrants have been integral to the development of the city of New York. Over 24,000 German immigrants called New York home in 1840—a sizeable community to be sure, but nothing compared to what the following 20 years would bring. 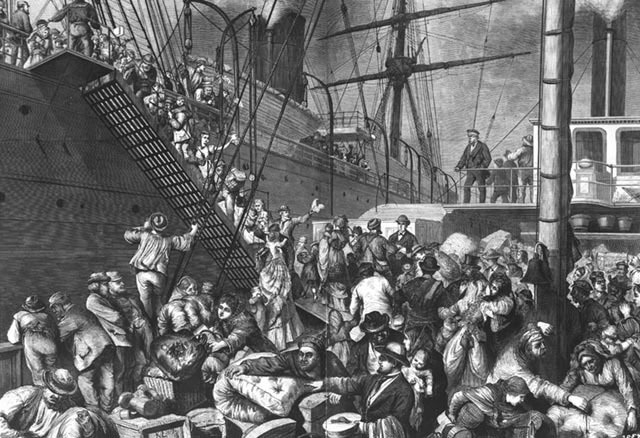 Between 1840 and 1860, land shortages, unemployment, famine, as well as political and religious oppression sent more than a hundred thousand German immigrants across the Atlantic Ocean. At the end of those 20 years, there were over 200,000 German immigrants living in New York, most congregating in the area east of the Bowery and north of Division Street—or, what became known as Kleindeutschland. It is important to note that until 1871, there was no unified Germany; most of these German immigrants would have been called Prussians, Bavarians, Hessians, Rhinelanders, Pomeranians, or Westphalians. The establishment and extension of the German Empire in the 1870s and 1880s, however, only brought more immigration, as tens of thousands more Germans found themselves dislocated and fleeing to New York. 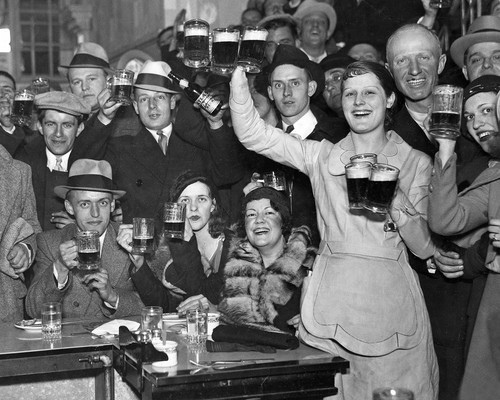 By 1880, about one-third of the residents of New York—roughly 400,000 people—were classed as German-American. At the time, only Vienna and Berlin contained more German speakers than New York. During the same period, Kleindeutschland alone contained a German speaking population of 250,000, stretching from Division Street to 14th Street—making up the entirety of the neighborhoods now known as the East Village and the Lower East Side. As New York entered the 20th century, the increasing socioeconomic pedigree of the German community, as well as the tragic General Slocum disaster, diffused Kleindeutschland’s population across the city—founding and expanding enclaves in areas like Yorkville in the Upper East Side, Ridgewood in Queens, or Bushwick in Brooklyn. As the German community in New York exploded in size, it built churches, started businesses, founded hospitals, created clubs, propagated culture, erected monuments, and birthed dynasties. Over the years, however, the community assimilated and dispersed, but not before it left an indelible mark on the city. 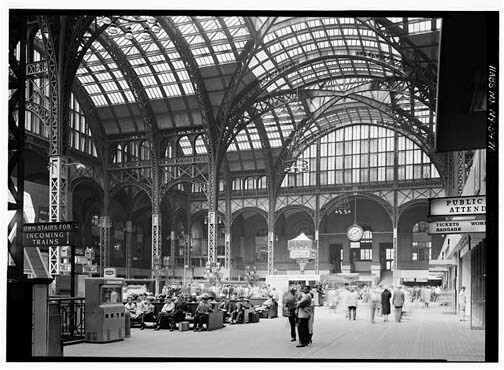 Since that time, New York has been built up and torn down, both by design and by tragedy, but if you look close enough, you can still find traces of the German immigrant experience hiding throughout the city’s corridors. Borkowski, Katherine. Untitled photographs. (2011). Cocciolo, Anthony. Untitled photographs. (2011). Schaller & Weber. Untitled photographs. Courtesy of Schaller & Weber. We thank the many individuals and organizations that made this projects possible. Please visit the references and photo credits page for specific attributions. Interested in this project? Follow us on Twitter, Facebook, YouTube, and iTunes! Or you can email us at info@germantracesnyc.org. German Traces NYC received the American Library Association 2013 Cutting Edge Library Service award. German Traces in New York. DRadio Wissen (German Radio). Life & Style New York. German television (starts a time mark 5:40). Taking the Library to the Streets: The German Traces NYC Project. German Consulate. New Walking-Tour App by SILS Professors Shows Influence of German Culture on New York City. Pratt’s Gateway Newsletter. On the Streets of Manhattan: Tracing German Footsteps. Goethe-Institut Homepage.